Mr Chin Hee Lee, Jeffrey Lee graduated with a First Class BSc (Hons) Engineering Degree in Mechanical Engineering from the University of Glasgow, UK in 1982. He has about 25 years of experience in Engineering and Engineering-related jobs and businesses, and has extensive experience in both management and corporations as well as in business. Jeffrey Lee started his corporate career with the Public Works Department (PWD, now known as CPG Corporation). 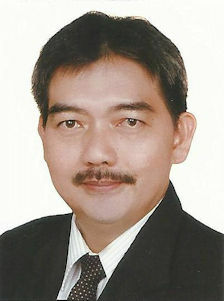 He spent 10 years with the PWD as a Project Engineer, a Site Engineer, and Facilities Manager, during which he was the client consultant for the Central Expressway (CTE) vehicular tunnels project, the M&E facilities for the school building program for over 30 schools, and handled the facilities management for about half of the government buildings in Singapore. Jeffrey was also the Head of Planning with the Fire Safety Bureau in Singapore, where he regulated and approved fire safety plans for both new and refurbished buildings for the entire country. In 1994, Jeffrey left the corporate world to start his first business, ID Estate Management Pte Ltd, specialising in facilities management. One of their first contracts was to manage 151 primary schools in Singapore, and the company later expanded into project management, including projects like upgrading of fire safety facilities in Changi Airport Terminal 1. Jeffrey has since built several other businesses, including Fosco Building Maintenance Pte Ltd (specialised in M&E contracting and installations), JL & Co Projects Pte Ltd (focused on MINDEF projects in repair and redecoration of buildings) and the provision of accommodation for international students from over 20 countries (including Temasek Polytechnic, Singapore Polytechnic, Nanyang Polytechnic, and NTU Business School) and JL & Partners Pte Ltd for the provision of business and management consultancy services. Jeffrey is an extremely seasoned businessman, having gone through a roller coaster ride in the world of business. He has built his business to becoming a millionaire in a few years – more than once – but also experienced business failures and even bankruptcy. Jeffrey retired from his various businesses in 2008 due to health challenges. He has since developed a keen interest in property investment, especially in the United Kingdom, and is building his property portfolio with several properties in South Wales and Birmingham. Jeffrey also selectively provides business and management consultancy services. Jeffrey’s list of projects is available upon request.